Note: The author would like to thank his colleagues, and especially Dr. Peter Nafzger, for reading earlier versions of this paper, and for the many helpful suggestions for improvement that they made. Most Christians would agree that the Gospel, the good news about Jesus, is the saving message in the Bible. But if we were to look at how our acceptance of this truth actually influences the way we interpret the Scriptures, or the way we preach and witness, or the way we deal with cultural issues and people outside of the faith, we would soon see our agreement fading. So, while everyone might agree about the importance of the Gospel as the saving message of the Bible, not everyone agrees with how this belief should be embodied in the various practices of our faith. This raises a lot of questions. For my purposes here, two of them are important, “How do Lutherans understand the relationship between the Gospel and Scripture?” and, “How does our understanding influence our preaching and teaching and our lives together?” These are big questions, and in this paper, I can only start to address them. Though there are any number of directions that my argument could take, I am going to argue specifically that Lutherans have always and should continue to walk a middle road between two ditches into which it is easy to fall. The middle-of-the-road approach for which I am advocating is what I will call a “Gospel–centered approach.” The ditches to be avoided are a so-called Gospel-reductionist approach on the one side and a so-called Biblicist approach on the other. I have three reasons for shaping my argument this way, depending on which ditch I am concerned about: (1) The term “Gospel reductionism” was more commonly heard in the LCMS in the 1960s and ‘70s than it is today. Nevertheless, lately I have observed that the term is again being used to label someone’s teaching in a negative way. But how is it being used? Is the label appropriately applied or is a Gospel–reductionist approach being confused with a Gospel–centered approach? I hope to enhance our communication with each other so that the Gospel–reductionist label is not applied hastily or inappropriately. (2) The term “Biblicism” may be equally unfamiliar. However, even though this approach is usually associated with fundamentalist or conservative evangelicalism, because of cultural pressures, Lutherans may be especially susceptible to it today. What does it mean and why is it unhelpful? (3) Finally, I also hope that readers will be able to appreciate anew the beautiful Lutheran practice of a Gospel- centered approach and applaud those whose life and teaching avoid these two ditches and take the Gospel–centered road. For one thing, it justified the claim that as long as the Gospel is not distorted, it is permissible to reject the historicity of events recorded in the Scriptures. For example, it made it possible to say that it is not necessary to believe that God created the world, that he sent the Flood, that he led Israel out of Egypt, that Jesus was born of a virgin, that he performed the miracles the Gospels record and so on, because the Gospel can be faithfully proclaimed regardless of whether or not there is a real historical event lying behind these Scriptural accounts. This practice is reductive in two ways. First, by assuming that the Gospel can be abstracted from the historical and scriptural context that gives it meaning, the incomparable richness of the Gospel message is reduced to a formula like one might read on a billboard or hear in a 30-second TV commercial. Second, the authority of the Scriptures, as the norm for the Gospel, is reduced. One interpretive result of the Gospel-reductionist approach is that although the reality behind the account of Jesus’s death and resurrection must be maintained, Scripture does not necessarily provide many other historical accounts of God actually acting in this world—great acts of judgment and salvation which might help us understand more fully the wonder of what God did for us when he sent his Son or why he even acted in this way. A Gospel-reductionist approach reduces the content of necessary Christian belief to a minimum and discards whatever does not seem to serve the Gospel directly. Also, when the Gospel instead of the Scriptures becomes the norm for all theology, the authority of Scripture to serve as the church’s sole standard of doctrine and life (its normative authority) becomes limited to (or confused with) the efficacy of the Gospel to bring people to faith in Jesus (its causative authority). The confusion enabled the claim that the Gospel, rather than the entire Scriptures, should be the norm for determining the appropriate content and relevance for us of any particular doctrine or teaching. Again, the reduction conflates the normative authority of Scripture (the formal principle of theology) with the causative authority of the Gospel (the material principle of theology). Contrary to this, Lutherans teach that the entire body of doctrine is always judged, ruled, and guided by the Scriptures. Lutheran doctrine is supported with scriptural testimony, and so we regard its truth as unchanging. To proceed otherwise would mean that various doctrinal teachings in the Scriptures could be developed or set aside depending on historical circumstances, as long as the Gospel is not distorted. It might also mean that rather than looking first and foremost at what the Scriptures teach about a particular problem or question and discussing the issue on the basis of the Scriptures, other human sources of knowledge or tradition are given priority in the discussion. As a result, the authority of the Scriptures to govern the teaching and practice of the church is reduced. One example that seems to have been in play in the 1960s and ‘70s regards the teaching of the Law. A Gospel-reductionist approach could suggest that what God’s Law declares to be sinful, need not be considered as sinful at all times and in all contexts. It just depends. It could also suggest that Christians no longer need the Law to know God’s will for their lives. The Gospel becomes, in effect, a new Law. This reduction confuses the Law and Gospel and their appropriate functions in our lives. “Biblicism” is an approach to the Scriptures that is usually associated with Fundamentalist branches of Christianity. The term “Fundamentalist” goes back to at least 1909 and refers to individuals and organizations of evangelical Christians who fought to defend traditional Christianity against modernist positions such as Darwinism and historical criticism. As part of their defensive strategy, Fundamentalists advocated that Christians unite behind what they called “the fundamentals” of their faith. J. I. Packer, for example, lists five items as fundamental to the faith and to evangelical Christianity: the inspiration and infallibility of Scripture, the deity of Christ, Jesus’s virgin birth and miracles, his penal death for our sins, and his physical resurrection and personal return. Thus, while the Gospelism that I described above is an approach to the Scriptures associated with the liberal side of Christianity, Biblicism is an approach to the Scriptures associated with the conservative side. It may be for this reason that LCMS Lutherans can be more susceptible to Biblicism and its approach to Scripture than to Gospelism and its approach. Though there is not total agreement on how Biblicism should be defined, most scholars point to a core of interpretive practices that they identify as Biblicism. Not all of them are relevant for the purposes of this paper, and so I am going to focus on those practices that are reductive in a way that is a mirror image of the Gospelism described above. That is, if Gospelism reduces the normative authority of the Scriptures in relation to the Gospel, Biblicism reduces the causative authority of the Gospel in relation to the Scriptures. For example, as can be seen in the list of the five fundamentals of the faith described above, Biblicists show a tendency to move the Doctrine of Inspiration and Inerrancy to a central—if not the central—place in Christian theology. The danger is that if the Doctrine of Inspiration and Inerrancy becomes foundational for the Christian faith, it becomes easy to think that our faith depends on an infallible Bible. And it becomes easy to think that for the sake of our faith we need to prove that there are no errors or contradictions in Scripture. But how does one prove that the Bible is trustworthy in all that it says? The only way we humans know how to do that is by providing logical arguments based on the best scientific, archeological, or historical evidence that solve the problems and ease the contradictions that skeptics raise. However, when we over-engage in this kind of proving-the-Bible activity (especially with those who are outside of the Christian faith), we actually give human ways of knowing and judging truth authority over Scripture. In other words, we start to rely on imperfect human knowledge to help us determine the truthfulness of the divine Scriptures. At this point, it can be seen that there are a number of dangers we expose ourselves to when we place an over-emphasis on the Doctrine of Inspiration and Inerrancy in our theology: (1) It gives too much responsibility to human ways of reasoning and less to the miracle of faith worked by the Holy Spirit through the Gospel. That is, it reduces the causative authority of the Gospel. (2) It may also lead someone to believe that if there is something in the Bible that can’t be proved or a contradiction that can’t be satisfactorily reconciled, their faith will crumble. Practically speaking, they have put their faith in the Scriptures, per se, rather than in the promise of Jesus. Again, in such a case, the authority of the Gospel is reduced. (3) By over emphasizing the Doctrine of Inspiration and Inerrancy, it is easy to lose sight of the purpose of the Scriptures, which is to make people wise unto salvation through faith in Jesus. That is, we can focus too much on what the Scriptures are rather than what they do (Rom 1:16–17; Jn 5:39; Jn 20:31). Two other tendencies of a fundamentalist approach to the Bible are to assume: (1) that every book of the Bible is as central to our faith and life as every other book, and (2) that no doctrinal teaching in the Scriptures is more central or more important than any other. In other words, a person with this perspective can slide into reading the Bible as a flat and centerless book. Again, this assumption reduces the authority of the Gospel, which is the central teaching of the Scriptures and the reason God gave them to us (i.e., the Gospel as the material principle of Scripture). Though more will be said about this below, suffice it to say for now that the Gospel, the main theme of the Scriptures, should always condition our reading of the various books and texts of which the Scriptures are comprised. If it does not, our understanding of how the Scriptures should be read and applied will drastically change, Law and Gospel will get confused, and our understanding of redemption and salvation will be distorted. One final observation about a Biblicist perspective is that it has too narrow of an understanding of what God’s word is. The narrow view sees the written Scriptures as the only or the most important form of God’s word. It does not see that God’s word comes in different forms. But the Scriptures themselves testify that the true God, unlike idols, speaks in various, interconnected ways to his human creatures. In both the OT and the NT, for example, he attaches his word of promise to visible signs so that his people could continually hear his word of forgiveness and salvation and not forget what kind of a God he is. In the OT he spoke his word of judgment and salvation through the ordinary human language of his prophets, and in the NT God spoke through his apostles, who in turn promise us that God still speaks to us through the preaching and even personal sharing of his word. Of course, at the center of these different forms of God’s speech is God’s ultimate speech act, performed through the gift of his Son, the Word made flesh (Jn 1:1–14). “In many and various ways, God spoke to our fathers through the prophets, but in these last days he has spoken to us by his Son (Heb 1:1).” All of God’s conversations revolve around this Word from God, and so it is this personal Word from God that holds Christians together and gives a particular shape to our lives together. The main reason that we delight to read and study the Scriptures, and gather to hear them preached, and endeavor to order our lives around them is because they tell us about the One who promises us eternal life. He is the one we look to as our authority because all authority has been given to him (1 Cor 15). He is the only one who has power over death and life. However, because of this emphasis on the Bible as God’s only or most important word, Biblicists can sometimes claim too much for the Bible. For example, the statement by J. I. Packer that, “To learn the mind of God, one must consult his written Word,” misses the scriptural point that it is only Jesus who makes his Father known (Jn 1:18). Without him, we dwell in darkness. And Paul invites Christians to have the mind of Christ, not to inquire into the mind of God, whose ways and judgments are unsearchable and inscrutable. “Who has known the mind of God?” the prophet asks (Phil 2:5; Rom 11:33–35). John Frame gives another example of how Biblicists claim too much for the Bible when he points out that Biblicism often tends to treat the Scriptures as a “textbook” of science, philosophy, politics, economics and so on. Christian Smith calls this “the Handbook Model” according to which the Bible is treated as a compendium of teachings on an array of subjects such as science, economics, health, politics, and romance. He lists the titles of Christian books written according to this model of treating Scripture. But by reading the Scriptures this way, their main purpose is lost. Again, the Scriptures were given to us for the sake of the Gospel, the power of God for salvation. As Jesus himself says, the Holy Spirit’s work is to bring us to Jesus (Jn 16:12–15), and we pray that he will do that through our reading and studying of the Scriptures. We grow to trust the Scriptures and believe them to be inspired by God because we have come to love the Jesus to whom the Scriptures testify. And we trust the Scriptures as God’s word even without “proof” of their accuracy. The Scriptures are precious to us because in them we learn about the riches of salvation that God has given us in his Son. As I have begun to show, Gospel-centered Christians use different assumptions in their scriptural teaching and practice. The distinctions are important because Lutherans want all of their pastors and teachers, and indeed the whole community of Christians, to be Gospel-centered people. Failure to be Gospel-centered will lead to the reductions that I have described above. What follows is a description of the most important characteristics of a Gospel-centered Christian. For one thing, Gospel-centered Christians read the Scriptures “in the light of Christ.” That is to say, their interpretation of the entire Bible is shaped by their conviction that Scripture’s central truth is the message that Jesus, the Son of God, is the fulfillment of God’s promise to Israel that he would redeem them from sin and every evil. It is for his sake that God graciously forgives all of our sins and delivers us from eternal death. The very purpose of all the Scriptures is to bear witness to Jesus and make people wise to salvation through Jesus Christ. Luke writes that after Jesus rose from the dead, he appeared to his disciples and “opened their minds to understand the Scriptures” (Lk 24:45–47). Thus, after Jesus rose from the dead, the apostles read the Scriptures differently than they had before. In Acts and the Epistles, we see many examples of how the apostles built on Jesus’s own teaching and interpreted the Scriptures in the light of the risen Christ. So, the apostle Paul, as a matter of custom, would go to the synagogue of whatever city he was in and show people how the Scriptures (the OT) are to be understood in light of Jesus, whom he believed was the Christ. Today, Gospel-centered people still endeavor to emulate Jesus and the apostles and practice Gospel-centered interpretation in our own lives and ministries. Failure to do this is to misread the Scriptures and to fail to use them as intended. Because of our belief that the Gospel is the central message of the Scriptures and the reason the Scriptures are given to us, we also assume that every question about the meaning of a text is a “Gospel question.” This is because questions about the meaning of Scripture texts are questions about texts that have been given to us by God for the sake of the Gospel. This does not mean that we try to squeeze an explicit Gospel message from every text (like a proverb or a Levitical law, for example) or allegorize a text so that we can make it about Jesus. It does mean that we pursue the interpretation and application of every text in light of the Bible’s central message. It also means that we do not interpret any text in a way that is in opposition to its central message. In this sense, we say not only that the Scriptures are the norm for the Gospel, but also that the Gospel is the norm in the Scriptures. For example, texts about good works find their appropriate place and interpretation in light of the central message of the Gospel and not apart from it—otherwise they will be misinterpreted. We don’t neglect these passages, but we understand them and apply them in light of the Gospel. Likewise, the idea that some books in the canon must be read in the light of others and not vice versa is an interpretive practice stemming from our assumption that the Gospel is the central message in the Scriptures and must not be distorted or marginalized. For example, we interpret the book of Revelation in the light of the Gospels or Romans and not vice versa. We do this because these books clearly and coherently set forth the truth of the Gospel of Jesus. If we forget this, we will inevitably go astray in the interpretation and application of Scripture. So, we use the books central to our faith and life to help us understand the symbols and images of an enigmatic book such as Revelation. The danger is that if the imagery of Revelation is interpreted independently of the Gospel as it is laid out in these central books, the message of salvation itself will be distorted. Keeping the Gospel central in interpretation does not mean that the historical reality behind Scripture’s accounts of God’s actions throughout history can be denied or downplayed. Gospel- centered interpreters do not deny the historical reality behind the events recorded in the rest of Scripture because to do so would undermine the truth of the Gospel and deny the faith. This commitment to the reality behind the biblical assertions does not mean that faithful Lutherans will always agree on the exegesis of the details of individual texts. A person who disagrees with someone on how they interpret a text must not summarily label (and dismiss) that person as a Gospel reductionist. To do so is to misapply the label and misunderstand the nature of the problem. There are many details of texts over which faithful Christians can disagree without being Gospel reductionists. Our quia subscription to the Confessions for example, is a subscription to the doctrine they confess. It does not entail agreement with the interpretation of every particular text in the Book of Concord. For Gospel-centered theologians, the Gospel is both the starting point and the goal of theology. Because while Scripture is the source of our doctrine, the Gospel is the source of our faith itself. The Gospel creates personal faith. It is the power of God for salvation to everyone who believes (Rom 1:16). As I said above, only after a person comes to faith in Jesus and confesses him as Lord, do they begin to read the Scriptures as they are meant to be read. And it is only after a person comes to faith in Christ that they see how our body of doctrinal teaching fits together into a coherent whole and how it is all related to and held together by the central doctrine, the Gospel. Again, Gospel-centered Christians do not reverse the order, and through rational arguments or proofs first attempt to convince people of the truth of the Scriptures and then only after that work to convince them of the truth of the Gospel. This approach reduces (and marginalizes) the Gospel through which the Holy Spirit works. It also reduces the authority of the Scriptures by holding God’s word accountable to human ways of reasoning and human canons of evidence. This is a precarious move. This paper has focused on the nature of the relationship between the Gospel and Scripture in our theology. I have tried to show that when the relationship becomes unbalanced, in one way or the other, it has important implications for the teaching and life of the church. This means that the Lutheran understanding of the relationship between the Gospel and Scripture is not only an intellectual construct. As Gospel-centered people, we embody it in our lives. For example, being Gospel centered should be evident in the way we emphasize proclamation over explanation in our preaching and in how we make the proper distinctions between Law and Gospel. It should come out in the way we minister to people who are suffering inexplicably and in how we talk with people about their doubt and fear. It becomes evident in the place that the Sacraments play in our lives together. It should especially be evident in the way we treat each other in our daily lives. Gospel-centered people are grace-centered people. This means that we not only know about or assent to the centrality of the Gospel and the doctrine of justification, it also means the Spirit, through this Good News, has powerfully transformed our lives so that we begin to treat each other with the grace and forgiveness that our Lord so generously gives to us (Gal 5:22–23). The expansiveness of Paul’s vision for the lives of his people is striking to me. In the light of this text, I recognize my own small heart and my need for God’s forgiveness for some of the habits and practices into which I have fallen. As one who has received so much grace, why do I so often show so little grace to others? I am praying for the strength to live and teach with this expansive love, as a Gospel-centered Christian. I hope you will too. Proceedings of the Fiftieth Regular Convention of The Lutheran Church—Missouri Synod, New Orleans, 1973, Resolution 3-09, 136, also labels Gospel reductionism as “Gospelism”; the descriptions in the section that follows are based primarily on Proceedings, Resolution 3-09, 133-139, and the following documents: Robert Preus, “Biblical Authority in the Lutheran Confessions,” Concordia Journal (January 1978): 16–23; Commission on Theology and Church Relations of The Lutheran Church—Missouri Synod. Gospel and Scripture: The Interrelationship of the Material and Formal Principles in Lutheran Theology. November 1972; Commission on Theology and Church Relations of The Lutheran Church—Missouri Synod. A Statement of Scriptural and Confessional Principles. 1973; each of these are still valuable to the church today, and I encourage readers to look back over them for fuller discussions of what I outline here. Theologians use the term “norm” to refer to a standard by which other things are measured or judged. A norm is used to measure or evaluate the quality of other things. Thus, in Lutheran theology, Scripture is the only rule and guiding principle according to which other teachings are to be evaluated and judged. As FC Ep, Binding Rule 7 says, “Holy Scripture alone remains the only judge, rule, and guiding principle, according to which, as the only touchstone, all teachings should and must be recognized and judged, whether they are good or evil, correct or incorrect” (Robert Kolb, T. J. Wengert, and C. P. Arand, eds., The Book of Concord: The Confessions of the Evangelical Lutheran Church (Minneapolis: Fortress Press, 2000), 487. Resolution 3-09, 139; Theologians use the term “material principle” to refer to the central thought of a theological system, and they use the term “formal principle” to refer to the source on which all teaching is based and the standard by which it is judged (cf., F. E. Mayer, The Religious Bodies of America, 4th ed. (St. Louis: CPH, 1961), 574. J. I. Packer, Fundamentalism and the Word of God: Some Evangelical Principles (Eerdmans: Grand Rapids, 1958), 28–29; for other detailed descriptions of Fundamentalism and its beliefs, see; George M. Marsden, Understanding Fundamentalism and Evangelicalism (Eerdmans: Grand Rapids, 1991); Harold Lindsell, The Battle for the Bible (Zondervan: Grand Rapids, 1976); Christian Smith, The Bible Made Impossible: Why Biblicism is not a Truly Evangelical Reading of Scripture (Brazos Press: Grand Rapids, 2011). Smith, The Bible, 4–15; Packer, Fundamentalism, 16–40; John M. Frame, “In Defense of Something Close to Biblicism: Reflections on Sola Scriptura and History in the Theological Method,” Westminster Theological Journal 59 (1997): 272–275. Lindsell, The Battle for the Bible, 17–27. Ironically, basing one’s faith on an infallible Bible becomes idolatry. 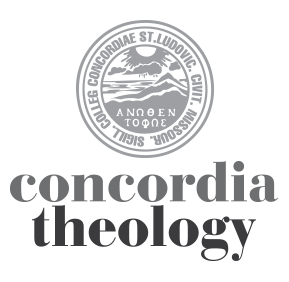 Arand, “The Scientist as a Theologian of the Cross,” Concordia Journal 43 (Summer, 2017): 24–31. Smith, The Bible Made Impossible, 153. Uuraas Saarnivaara, “Written and Spoken Word,” The Lutheran Quarterly O.S. 2 (1950): 168. Smith, The Bible Made Impossible, 125. For an example of how a Fundamentalist describes the task of interpreting Scripture in a non-Christological way, see Packer, Fundamentalism, 101–114, where he gives direction for the “scientific study of Scripture” but never mentions what it means to read the Scriptures in the light of Christ; see also Smith, The Bible Made Impossible, 115, who describes a sermon that he heard on a text from James that was, strictly speaking, biblical. However, the preacher said almost nothing about Jesus and the Gospel. Instead, he left the impression that Christianity is essentially moralism and the Christian life consists of trying to do better. Smith, The Bible Made Impossible, 116–117, makes the same observation when he says, “Biblicists are often so insistent that the Bible is God’s only complete, sufficient, and final word that they can easily forget in practice that before and above the Bible as God’s written word stands Jesus Christ, who is God’s living Word and ultimate and final self-revelation”; John M. Frame, “In Defense of Something Close to Biblicism: Reflections on Sola Scriptura and History in Theological Method,” WTJ 59 (1997): 272-274, discusses the idea of some Biblicists that there is a sense in which Scripture “speaks of everything,” though not always directly, but indirectly as well. For full treatments of this topic, see Timothy Saleska, “The Uses of Scripture in the Christian Community,” in Robert Kolb and Theodore J. Hopkins, eds. Inviting Community (St. Louis: Concordia Seminary Press, 2013), 71–84, and especially Peter H. Nafzger, These are Written: Toward a Cruciform Theology of Scripture (Eugene: Pickwick Publications, 2013), 103–113. In the OT, God attached his promise to circumcision (Gn 17), to the bronze serpent (Nm 21:4–9), to the Day of Atonement (Lv 16), to the sacrifices (Lv 2–7) and so on; in the NT, he attached his promises to Baptism (Mt 28:19–20, Rom 6:1–4), and the Lord’s Supper (Lk 22:19). John 20:21, Romans 10:14–17; Luther, in SA III.4, reminds us that the Gospel gives guidance and help against sin in more than one way, because of God’s extravagant grace: through the spoken word in which forgiveness is preached, through baptism, through the Lord’s Supper, through the power of the Keys, and also through the mutual conversation and consolation of brothers and sisters (emphasis mine). For this last point, he cites Matthew 18:, “Where two or there are gathered. . . ” (Kolb, Wengert and Arand, The Book of Concord, 319). Packer, Fundamentalism, 47; see also Packer, Fundamentalism, 85–94, where he discusses specifically “the Word of God” but only in terms of written Scripture. Frame, “In Defense,” 274; see also Smith, The Bible Made Impossible, 4–5, who describes this tendency in detail. Smith, The Bible Made Impossible, 4–10. For a good example, see Luther’s sermon, “How Christians Should Regard Moses,” in Luther’s Works 35, 161–174. Preus, “Biblical Authority,” 20; see also Gospel and Scripture, 17–18. Paul’s sermon on Areopagus recorded in Acts 17 is not a counter-example. In this text, he starts with what the Athenians already agree with (that they are very religious) and a god they already worship (the unknown god that he has come to make known for them). He quotes their poets and enters their thought world to show that there is some common ground between them. Paul does not try to convince them that the biblical account of the world and history is correct before he preaches Jesus. He starts from a perspective that they might have in common. And he does this so that he might create room in their ears and hearts to hear the proclamation of Jesus and to bring them to repentance. The goal of his sermon is clearly to proclaim Jesus. I really appreciated this article. Thanks, Tim! Come back to Virginia, so we can talk more! When you described the Scriptures as “the norm for the Gospel,” you italicized ‘for.’ That strikes me as important. The Scriptures are not the norm ‘of’ the Gospel, that is, they do not determine what the Gospel is. But how the Scriptures depict us and our environment is accurate, indeed, true, and therefore show us our need for the Gospel, that is, for Christ–who he is and what he does. Lots more to day, but thanks for this important contribution! Thanks for the kind words and for taking the time to read the post. Mart Thompson told me that he wished his pastor had this 20 years ago (ha), and so I guess some of the issues I was trying to get at reflect long standing assumptions. Like you said, I italicized “for” for the very reasons you mentioned. Love to see you again. Have a great day and a blessed week as we meditate on our Lord’s passion and death and look forward to celebrating his amazing resurrection. Go with the Lord. I assume that since there is a “share this” print function it is permissible to print copies of your article for congregational use? Speaking for Prof. Saleska, the answer is yes, by all means. We assume, of course, that you will appropriately attribute it to him and its source at concordiatheology.org. Hope it leads to some meaningful conversations! Thanks Travis. When I print the document, I experience some difficulties. Is it possible to have a downloadable .pdf or .docx option? Nice work, Dr. Saleska—scholarly, well-written and thought-provoking. Grace, mercy and peace from the Body of Christ in Louisville.